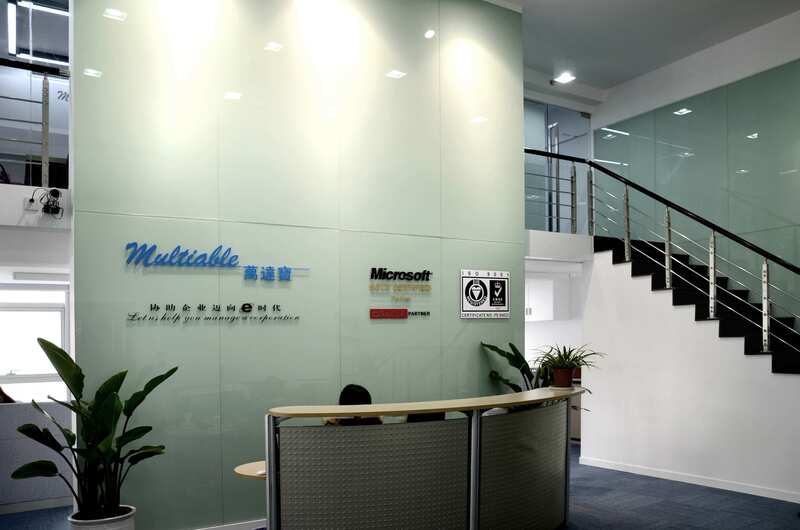 Multiable is one of the first enterprise management systems adopting Java in the Greater China. J3T-ERP is 100% based on IE operation System. Jumping into the ERPII era, a highly configurable HRMS, Human Capital Management (HCM), was launched. Due to the rapid expansion of HCM customer base, a separate business unit focusing on HCM was established. 2014，结合人工智能、BI商业智能、移动app、开发者生态环境等技术，全面升级CAW M18信息整合平台(前身)Cloud@Work (the product name of early version of M18) was introduced with a vision of seamless integration of AI, business intelligence, mobile computing and third party developer ecosystem. 2015，成功引入生物识别和物联网技术，将Clockgogo的专利技术与万达宝HCM产品整合，为企业提供先进、高效、低成本的考勤管理解决方案 Powered by patented Clockgogo, HCM becomes a global pioneer which offers biometrics and IoT enablement to perform people management. Attendance data capture costs dropped by over 90% for most of the customers after Clockgogo adoption. Thanks to years of solid HRMS implementation, APX, a cloud-based appraisal system was launched to meet growing needs of sophisticated enterprise customers in Asia. Cordchat, an enterprise-class messaging system with video conferencing capability, was launched for customers who want to get rid of the amateur social networking apps. Cloud@Work (the product name of early version of M18) was introduced with a vision of seamless integration of AI, business intelligence, mobile computing and third party developer ecosystem. Powered by patented Clockgogo, HCM becomes a global pioneer which offers biometrics and IoT enablement to perform people management. Attendance data capture costs dropped by over 90% for most of the customers after Clockgogo adoption.